With the first official Dragon Ball Super movie on the horizon and the new trailer released. Massive information about the movie has been released. These are the 5 Dragon Ball Super Broly! Facts You Should Know. As you all know that a short while ago it was confirmed that the new Dragon Ball Super Movie would be named, Dragon Ball Super Broly. That has split the fanbase a little. Some are glad, while some are kinda angry about it. Broly did get 3 movies, which continued to decline in quality over their course. Bio-Broly being the absolute worst movie in the trilogy and one of my most hated movies in the series. But Things look like they are about to change. These are the 5 Dragon Ball Super Broly! Facts You Should Know. Yes, this movie is a reboot. This one is a complete reset of the Broly movies. This kind of makes me intrigued about it. According to Akira Toriyama, He will personally be rewriting the Broly character and the movie. Meaning we can expect some major, good changes. Again with the reboot revamping Broly, we could and should expect a better character in terms of personality. In the original trilogy, Broly’s character was pretty underwhelming. 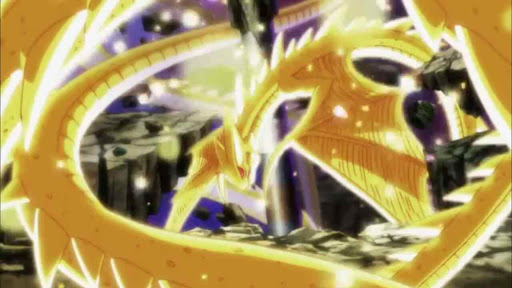 Introduced as a legendary Super Saiyan. He pretty much beat the living hell out of everyone in a pretty convincing way, looked unstoppable, etc. But his origins and the reason for being a blood lusted brute were just plain bad. I covered this in my article, is Broly overrated? Discussing the evil steroid abusing giant man-baby. But now, he can be a better character. Have a genuine personality, have an actual reason to be fighting rather than just because a baby cried next to him when he himself was a baby. Written by Akira Toriyama and set after the Tournament of Power. This movie is confirmed to be the next part in the series. So Broly will officially be one of the few characters to jump from Non-Canon to Canon. Meaning he will join the ranks of Bardock, Gregory and a few more who were anime only and later on became part of the official canon. With the Trailer release, this will be the first time that Broly and Frieza will meet each other in any form of media outside of Video Games. This opens up a lot of opportunities for the movie. Frieza is the guy who destroyed Planet Vegeta. 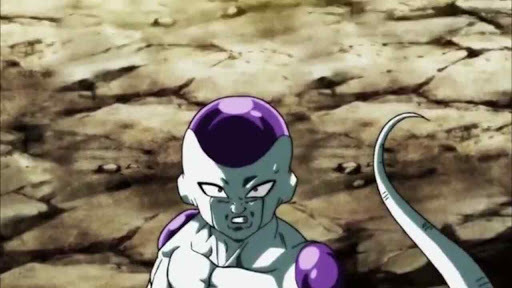 Even if the movie is a reboot, the connection between Frieza and the Saiyans doesn’t change. Who knows, Maybe Broly will actually want to kill the one responsible for his home planet being destroyed rather than someone who cried as a baby next to him. Let’s hope so. With the release of the trailer, we can see that Broly will fight Goku, Vegeta, and Frieza. Without transforming(for the most part) might I add. The Question, just how powerful will he be? And what will be his motivation behind it? Broly at the end of the day may still be a Universe 7 Saiyan. Compared to the names and title listed above, Kale despite being from Universe 6 was pretty weak. Compared to Universe 7, U6 Saiyans are pretty OP Saiyans. So the question is Can Broly be stronger than Jiren? If yes is the answer, then how? So, these are the 5 Dragon Ball Super Broly! Facts You Should Know. The movie will release on December 14 of this year. With the English release probably around mid to end 2019. I personally am looking forward to this movie. And let’s be honest anyone saying they won’t see the movie, will still see the movie and find things to complain about aside from the actual reasonable complains. 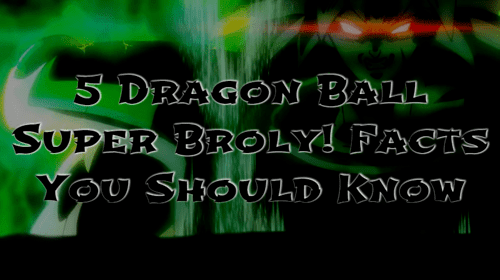 Akira Toriyama has claimed that Dragon Ball Super: Broly! Will be the best-animated movie in the franchise, also will be a multi-layered story taking place at different times. 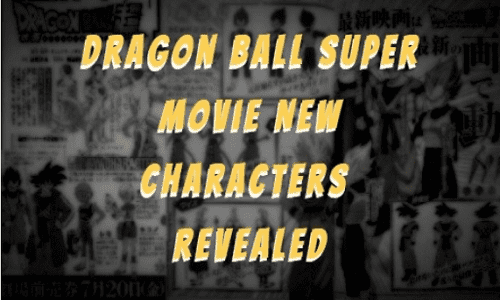 So look forward to probably the BEST DRAGON BALL MOVIE to date. As every Dragon Ball fans know that the Japanese arcade game Super Dragon Ball Heroes is getting an anime. Finally, the trailer for the series has been revealed. 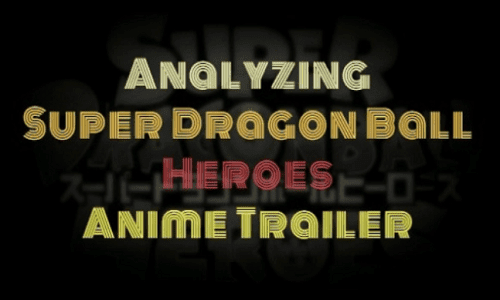 So let's dive in to analyze the Super Dragon Ball Heroes Anime trailer. 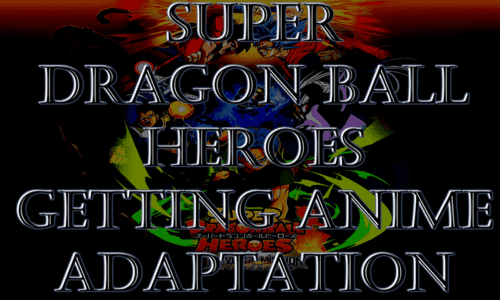 Unlike other Series in Dragon Ball, the Super Dragon Ball Heroes anime will be focusing on the stories introduced in the Japanese arcade game of the same name, Super Dragon Ball Heroes. With the game featuring tons of what-if scenarios that would generally be impossible in the main series. 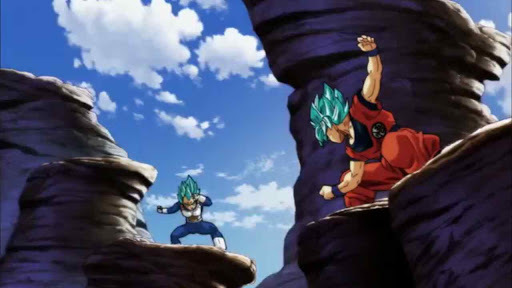 The first episode is set to feature SSJ Blue Goku ( from a further down in the time of the main timeline) going up against his alternate counterpart, Xeno Goku. As everyone is aware, Dragon Ball Super early on had pretty below average art. But later on around U6 vs U7 Tournament saga, it started to finally feel like a top show in terms of art style. Seems like Super Dragon Ball Heroes anime will be using the similar art style based on the trailer. 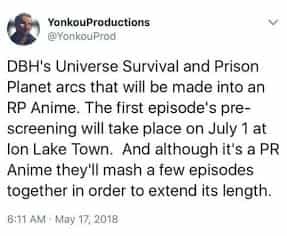 And the fact that they have a fixed number of the episodes (as nearly all promotional animes have) and time to make them as well, Meaning the art style will be great and crisp. Fu: Is the nephew of Dabura and son of Mira and Towa (who are also Dragon Ball Video game characters). Also the rightful heir of the Demon World. Goku(Xeno): The Alternate timeline counterpart of main series Goku. He is a time patroller. He also doesn't have SSJ Blue, Instead, he uses SSJ4. According to the game, He loses to SSJ Blue Goku. Cooler: He is the eldest son of King Cold and Brother of Frieza. Stuck with Future Trunks on the Prison Planet, decides to help him in order to escape. He also has a Golden Form. Cumber: He is an Evil Saiyan, also trapped in the Prison Planet. He is quite powerful and looks like Vegito would be making an appearance in order to fight him. 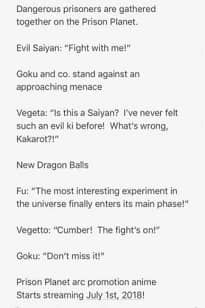 New Dragon Balls: Fu is trying to gather a different set of Dragon Ball scattered across the Prison Planet. Goku: He is training with Whis since the Tournament of Power Ended. According to the game, He Beats SSJ4 Goku. Vegeta: He is also training with Whis since the Tournament of Power Ended. He is suspicious of Fu and want's to save his sone, Future Trunks. Future Trunks: He is the son of Vegeta and Bulma from the future. He came back with Mai to the present in order to train with Goku and Vegeta. Trunks mysteriously find himself on the Prison Planet while training with Goku and Vegeta. Where he teams up with Cooler to escape. Mai: She came back with Trunks. She helps around making food and stuff during Trunks Training on Beerus's planet. Beerus: The Universe 7 God of Destruction. Whis: The attendant angel of Universe 7 God of Destruction. He is also the most powerful fighter of Universe 7. The Super Dragon Ball Heroes anime is set to premiere on July 1, 2018. It is still unknown how many episodes will the series get. But an average of 12 is pretty common for promotional animes. 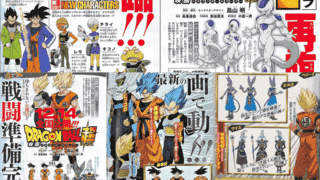 Dragon Ball Super Episode 131 Review: Miraculous Conclusion! Farewell Goku! Until We Meet Again – This is it! Dragon Ball Super finale! Jiren has to take on Android 17, Frieza, and Goku all at the same time. Less than 30 seconds now remain. Who will win? What Will be the wish? Without further ado, Let's dive into the review of Dragon Ball Super episode 131. 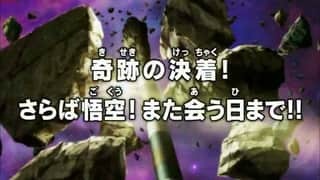 DRAGON BALL SUPER EPISODE 131 SPOILERS BELOW!!! Tadayoshi Yamamuro was the animation supervisor ofDragon Ball Super episode 131. And truly this man made sure we get the best animation possible for the finale. Most of the scenes were just movie tier. 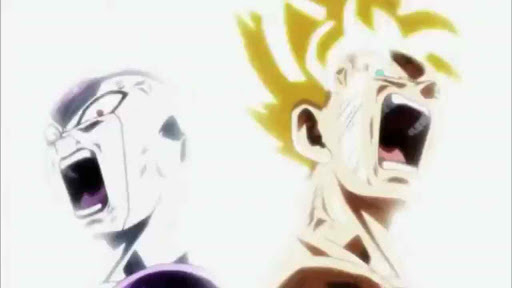 The episode marked the final episode for Dragon Ball Super before the new Movie. This episode also showed somethings that no one would have anticipated merely 5 months ago. 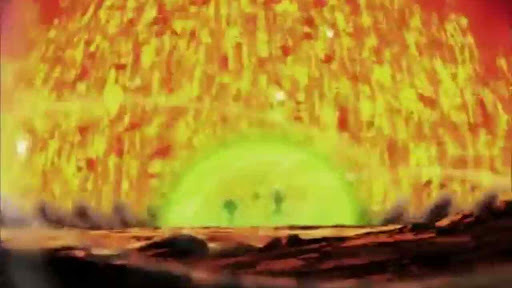 The episode starts with 17 and Frieza attacking Jiren. Jiren having none of it. 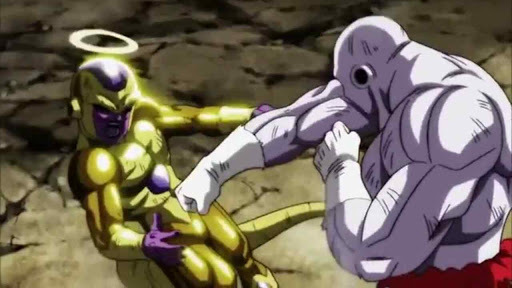 Frieza tells Jiren that his strength had diminished. And Jiren gets powered up. And tries beating 17 and Frieza. Only to get caught in their surprise attack. 17 attacks Jiren by enclosing him in a shield and blasting him. This fails. But tells 17 to finish the job. Frieza remarks that 17 has honored him with his trust. 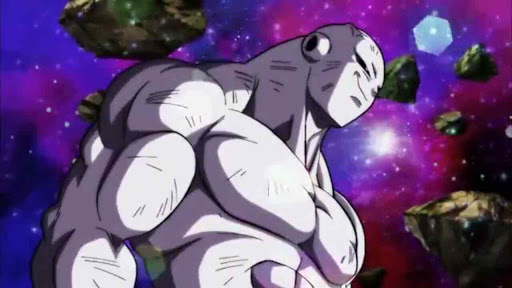 Frieza goes for the final blast on Jiren. Who now is broken and just ready to be thrown out. 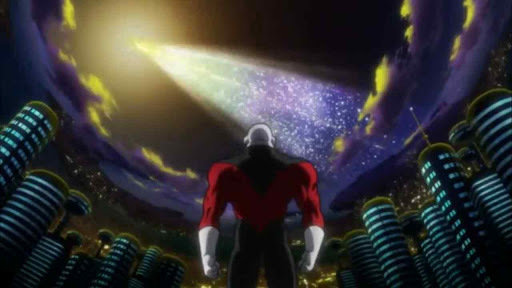 Toppo motivates Jiren to stand up and not lose hope in his strength. Annoying Friza. But Jiren gets up and starts fighting back. 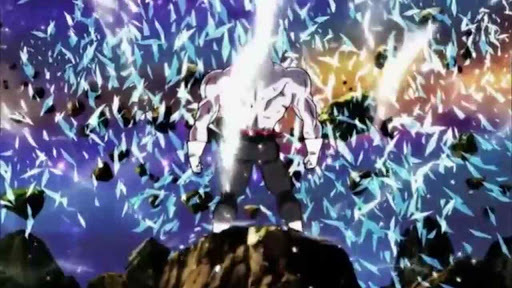 Jiren launches an immense Ki blast. 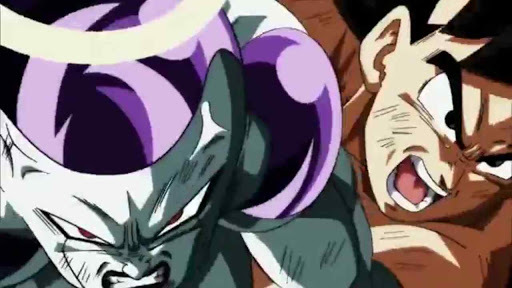 17 and Frieza go all out to stop it, But it's not enough. However, Goku shows up and helps them in their barrier. He apologizes for coming late. Goku and Frieza decide to go for the attack while 17 stays for backup. Goku and Frieza attack Jiren. Surprising everyone seeing Goku and Frieza working together so well. Goku on Frieza's behest throws him at Jiren. Frieza tries taking Jiren out with himself. But Jiren breaks free. However, Frieza doesn't let go. Goku also jumps in and tries to take Jiren out with Frieza. 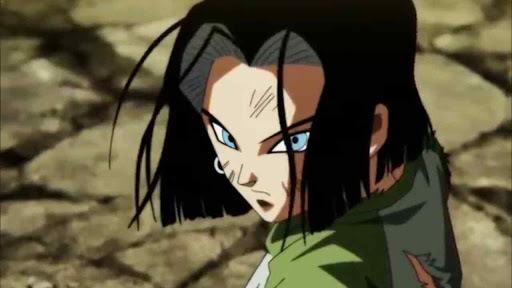 With Jiren, Frieza, and Goku out, Android 17 is the last man on stage. Hence the winner of the Tournament for Universe 7. Now Universe 11 is erased. Grand Priest asks Android 17 his wish. The Super Dragon Balls are gathered, Summoning Super Shenron. 17 is hesitant. Both Zenos tell him that he can wish for anything. So 17 wishes that all the erased Universes be brought back. Grand Priest tells Super Shenron, the wish restoring all the Universes. With everyone happy, Frieza asks to be sent back to hell. However, Whis brings him back to life as a gift from Beerus. Frieza says he won't change his evil ways. Only for Goku to tell him that he'll stop him if that time comes. Turns out the Zenos and grand Priest anticipated a wish like that. And say that EVERYTHING would have been erased if the wish wasn't virtuous. The Zenos asks Goku if he will come back, to which he replies in a positive. Afterward, Grand Priest congratulates them on winning the Tournament. Everyone then returns to Earth. A montage of all the things happening after they arrive begins. Frieza returns to his empire, Android 17 has gotten his Cruise ship and Goku and Vegeta decide to have another round. Vegeta asks Goku what happened to his Ultra Instinct? With Goku answering that he doesn't know. Saying it was by accident. The Narrator then tell us that when another powerful enemy arrives, Goku and his friends would be back. until then a short parting. 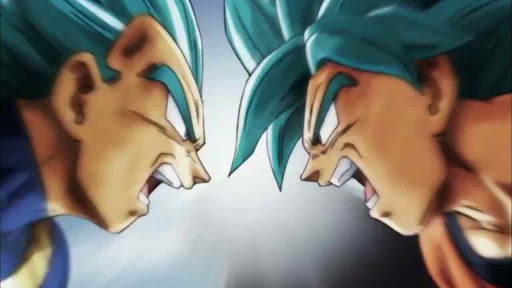 We see Goku and Vegeta in the same place and in the same pose as they had in the Saiyan Saga, their first meeting. And that is the end of Dragon Ball Super....... for now. nothing really was bad about this episode. Dragon Ball Super episode 131 hit all the right notes. From a fast-paced beginning to a very heart touching ending. Nothing felt out of place. It set up the future of the series very well. So I am gladly looking forward to the Movie coming out in December. Be sure to check out my other reviews. You can also subscribe to My Youtube Channel for Awesome Dragon Ball Videos. I will be postings updates regarding the future of the series regularly. I will also be uploading reviews of 3 Dragon Ball Super episodes short successions as well along with the manga chapter reviews and more.